This is a very easy DIY / How To video. 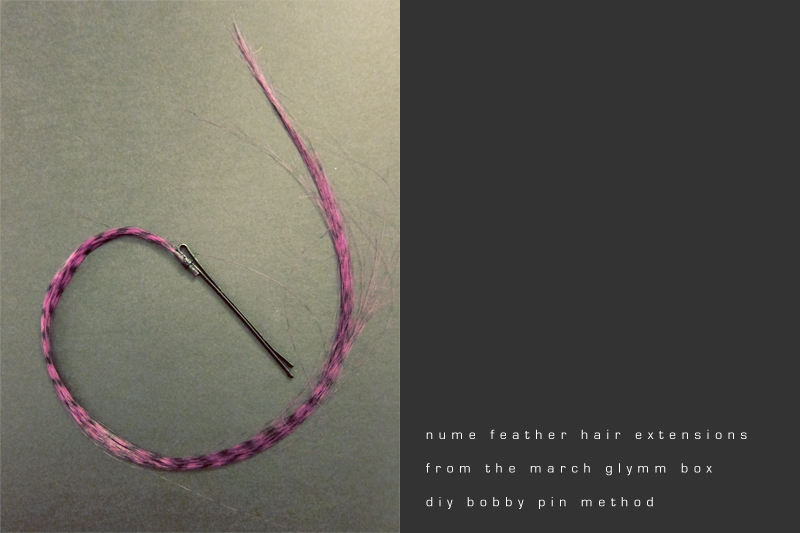 :) I received a set of 3 purple NuMe feather hair extensions in my March Glymm box. I wanted to find a way to make them reusable because (a) I have no idea how to put in hair extensions and (b) I can't wear these to work (conservative office environment) so it seemed like a waste just to have them in for a weekend. So I found an (easy) way to attach the extensions to bobby pins... I hope you find this tutorial helpful! Click here to skip my too-long intro and go straight to the tutorial.